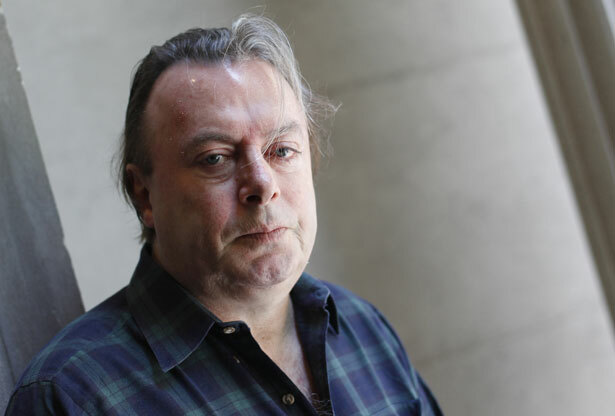 Hitchens could be a moral bully and a black-and-white thinker, but as a vivid presence he will long be remembered. Christopher Hitchens, my colleague for twenty years, was clever, hilarious, generous to his friends, combative, prodigiously energetic and fantastically productive. He could write with equal ease about Philip Larkin, capital punishment, Henry Kissinger and having his balls waxed. I used to wonder, enviously, how he could write so much, especially given his drinking, his travels, his public appearances and his demanding social life. He told me once that a writer should be able to write with no difficulty, anytime, anywhere—but actually, not many writers can do that. I think part of the reason why he was so prolific—and the reason he had such an outsize career and such an outsize effect on his readers—is that he was possibly the least troubled with self-doubt of all the writers on earth. For a man who started out as an International Socialist and ended up banging the drum for the war in Iraq and accusing Michelle Obama of fealty to African dictators on the basis of a stray remark in her undergraduate thesis, he seems to have spent little time wondering how he got from one place to another, much less if he’d lost anything on the way. After he left The Nation he said he had a “libertarian gene.” It’s a rum sort of libertarianism, and a rum sort of gene, that expresses itself first as membership in a Trotskyist sect, and then as support for the signal deed of an administration that stood for everything he had spent his life fighting, from economic inequality to government promotion of religion. So many people have praised Christopher so effusively, I want to complicate the picture even at the risk of seeming churlish. His drinking was not something to admire, and it was not a charming foible. Maybe sometimes it made him warm and expansive, but I never saw that side of it. What I saw was that drinking made him angry and combative and bullying, often toward people who were way out of his league—elderly guests on the Nation cruise, interns (especially female interns). Drinking didn’t make him a better writer either—that’s another myth. Christopher was such a practiced hand, with a style that was so patented, so integrally an expression of his personality, he was so sure he was right about whatever the subject, he could meet his deadlines even when he was totally sozzled. But those passages of pointless linguistic pirouetting? The arguments that don’t track if you look beneath the bravura phrasing? Forgive the cliché: that was the booze talking. And so, I’m betting, were the cruder manifestations of his famously pugilistic nature: as F Scott Fitzgerald said of his own alcoholism: “When drunk I make them all pay and pay and pay.” It makes me sad to see young writers cherishing their drinking bouts with him, and even his alcohol-fuelled displays of contempt for them (see Dave Zirin’s fond reminiscence of having Christopher spit at him) as if drink is what makes a great writer, and what makes a great writer a real man. That was the bad side of Christopher—the moral bully and black-and-white thinker posing as daring truth-teller. It was the side that reveled in 9/11, because now everyone would see how evil the jihadis were, and that rejoiced in the thought that the Korans of Muslim fighters would not protect them from American bullets. Some eulogists have praised him for moral consistency, but I don’t see that: he wrote tens of thousands of words attacking Clinton for executing Ricky Ray Rector, but seemed untroubled about George W Bush’s execution of 152 people—at the time a historical record—as governor of Texas. He was so fuelled by his own certainty he claimed that the failure to find weapons of mass destruction in Iraq only proved they were there. I don’t know how long Christopher will be read. Posterity isn’t kind to columnists and essayists and book reviewers, even the best ones. I doubt we’d be reading much of Orwell’s nonfiction now had he not written the indelible novels 1984 and Animal Farm. But as a vivid presence Christopher will be long remembered. A lot of writers, especially political writers, are rather boring as people, and some of the best writers are the most boring of all—they’re saving themselves for the desk. Christopher was the opposite—an adventurer, a talker, a bon vivant, a tireless burner of both ends of the candle. He made a lot of enemies, but probably more friends. He made life more interesting for thousands and thousands of people and posed big questions for them—about justice, politics, religion, human folly. Of how many journalists can that be said?